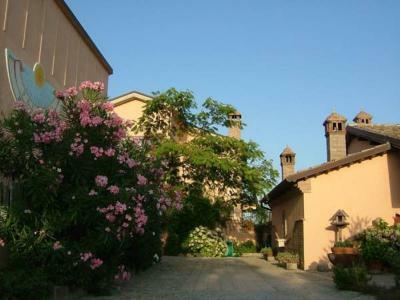 Lock in a great price for Agriturismo Le Macine – rated 8.8 by recent guests! 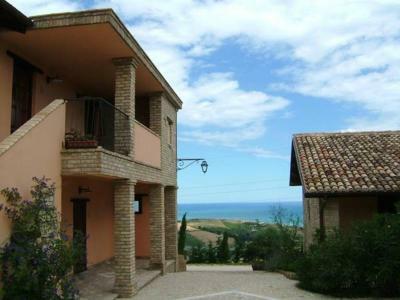 Beautiful location overlooking the Adriatic with fantastic swimming pool and family facilities. Our room was excellent, air con and en suite. Monica and staff were very welcoming. The restaurant was huge as were the portions of hearty local dishes and good local wine. We would love to go back. 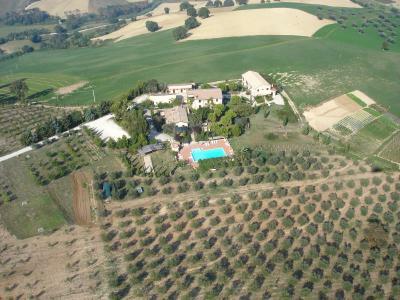 Sembra un piccolo borgo medioevale, la posizione è assolutamente fantastica, si affaccia sul mare e tutto intorno colline e vegetazione. Le due vasche idromassaggio, all'aperto, affacciate sul mare sono a dir poco rilassanti e ti fanno sentire in pace con il mondo. Accoglienza familiare ed attenta. Nourriture de très bonne qualité , personnel très chaleureux, entièrement satisfait. Très bon accueil. Familial. Personnel disponible et dévoué. Repas excellents et quantité plus que suffisante. Posizione fantastica, panorama emozionante, soggiorno brevissimo essendo di passaggio, non abbiamo usufruito delle strutture accessorie (piscina) che sembravano ben curate. Camera pulita. 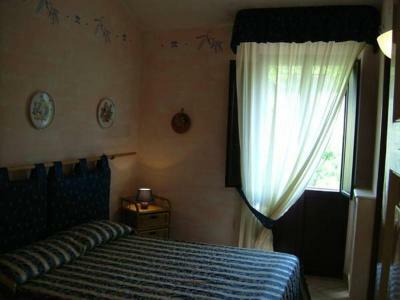 With a garden and a shared lounge, Agriturismo Le Macine provides accommodations with free WiFi. The farm stay has a playground. 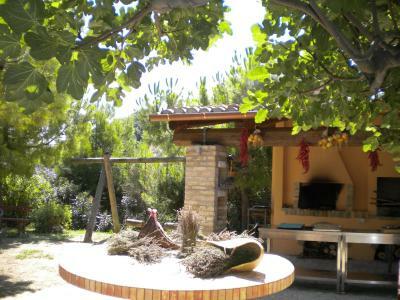 A sun terrace is available for guests to use at Agriturismo Le Macine. 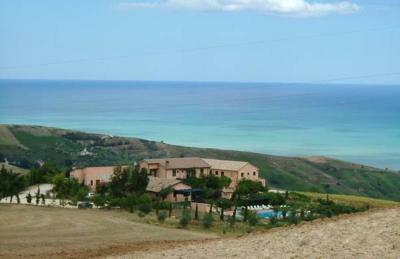 Pescara is 12 miles from the accommodation. 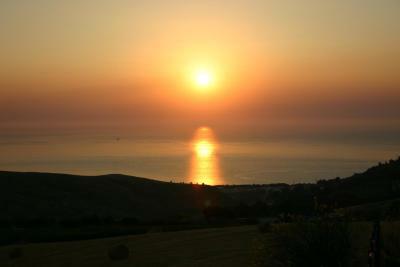 The nearest airport is Abruzzo Airport, 14 miles from Agriturismo Le Macine. 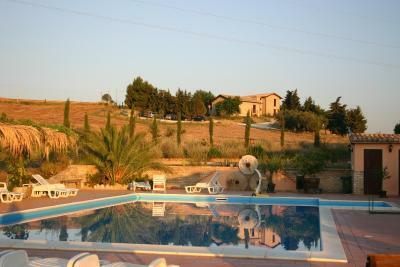 When would you like to stay at Agriturismo Le Macine? This double room has a kitchenware, kitchen and tile/marble floor. House Rules Agriturismo Le Macine takes special requests – add in the next step! 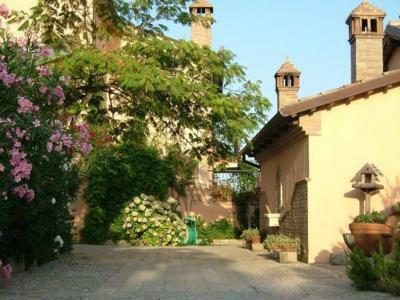 Agriturismo Le Macine accepts these cards and reserves the right to temporarily hold an amount prior to arrival. Please inform Agriturismo Le Macine of your expected arrival time in advance. You can use the Special Requests box when booking, or contact the property directly using the contact details in your confirmation. English language is possible,but only basic questions. It worked - all good!